The HumSAT project is an international educational initiative for building a constellation of nano-satellites providing worldwide communication capabilities to areas without infrastructure. The HumSAT project will deploy a worldwide constellation of CubeSats with the associated ground segment and a user segment to provide telecommunications services in support to humanitarian and emergency applications, and to monitor parameters related to climate change. The system will provide data-relay services for sensors distributed around the world. 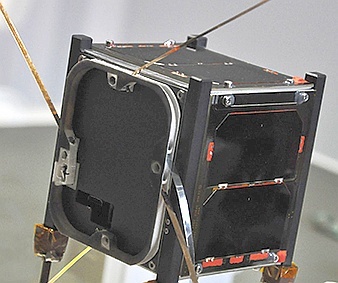 The HumSAT project will deploy a worldwide constellation of CubeSats with the associated ground segment and a user segment to provide telecommunications services in support to humanitarian and emergency applications, and to monitor parameters related to climate change. The system will provide data-relay services for sensors distributed around the world.